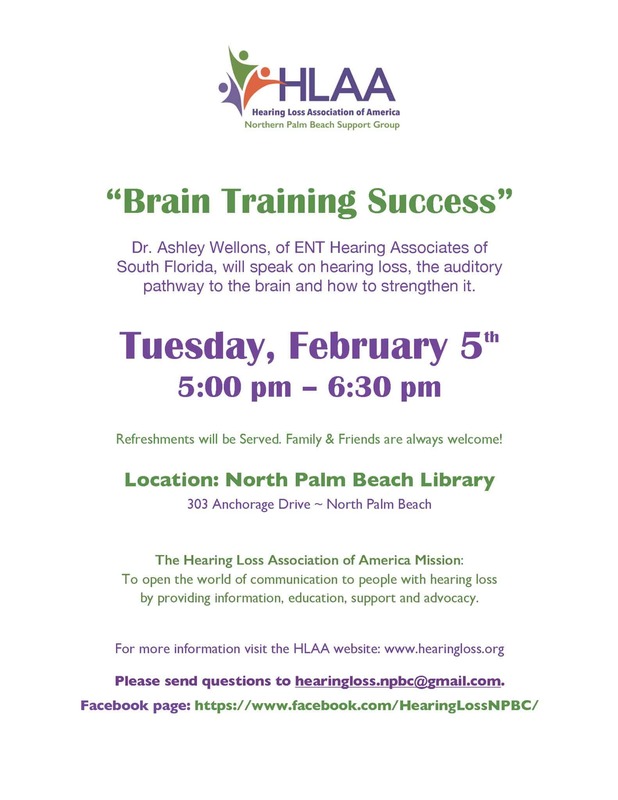 Dr. Ashley Wellons AU.D., of ENT Hearing Associates of South Florida, will speak on hearing loss, the auditory pathway to the brain and how to strengthen it. Refreshments will be served. All are welcome! Hearing Loss Support of Northern Palm Beach County, All rights reserved. Interest expressed in hearing loss support or advocacy?